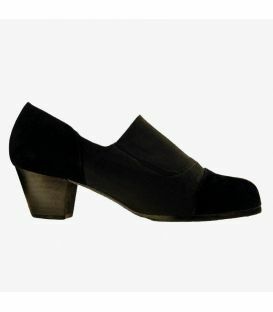 By buying this product you can collect up to 105 loyalty points. 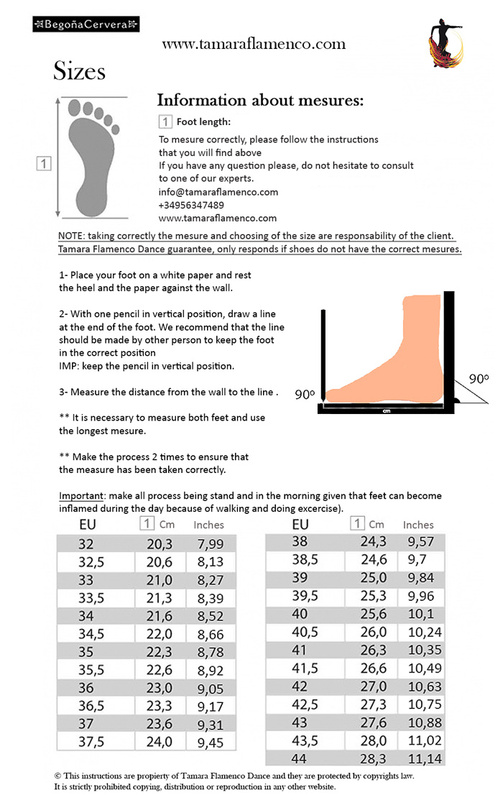 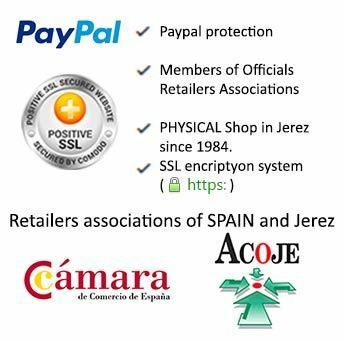 Your cart will total 105 loyalty points that can be converted into a voucher of 1,05 €. 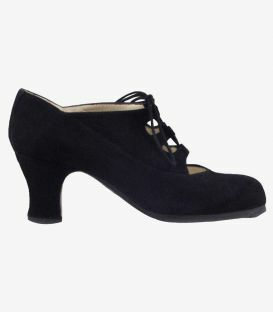 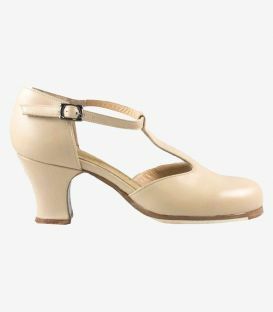 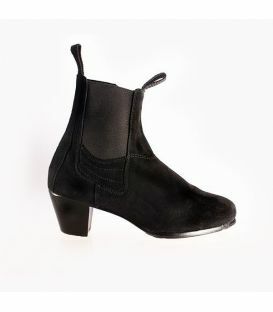 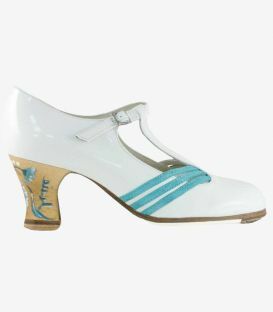 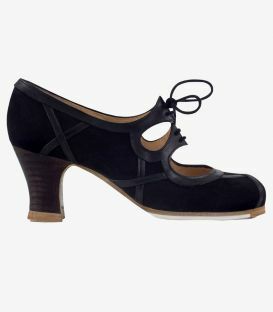 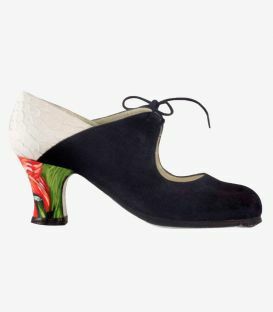 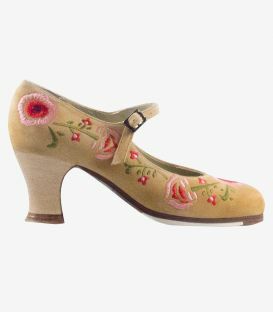 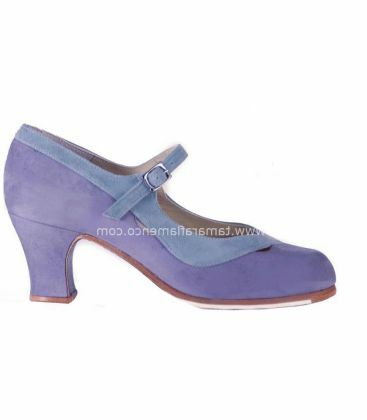 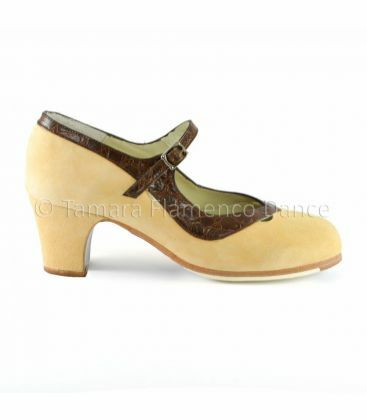 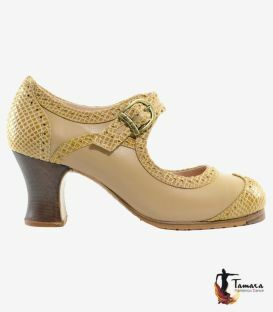 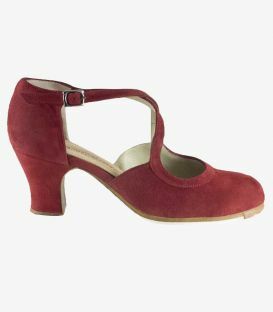 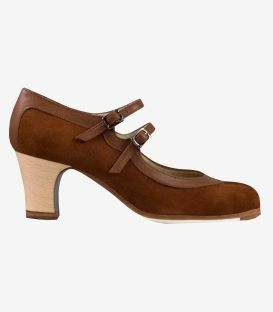 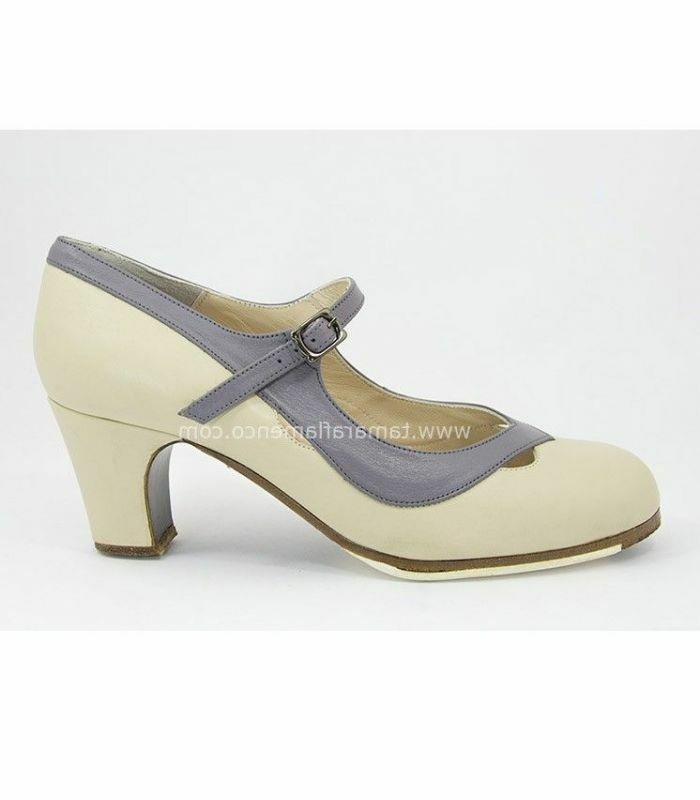 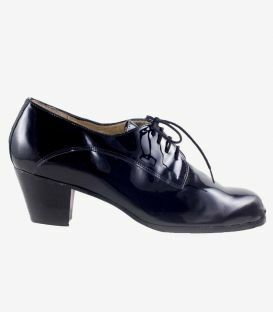 The Salón Correa II model is one of Begoña Cervera's professional flamenco shoes with a strap. 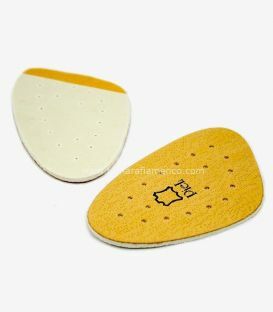 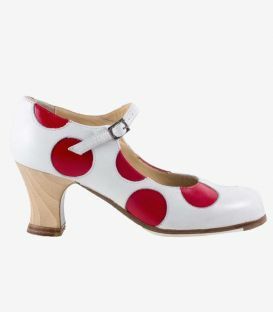 It has a similar shape to the professional shoe model with a traditional strap but in this case it has some holes between the upper edge and the shoe as an ornament. 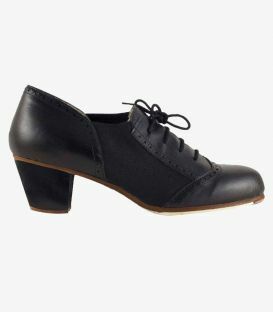 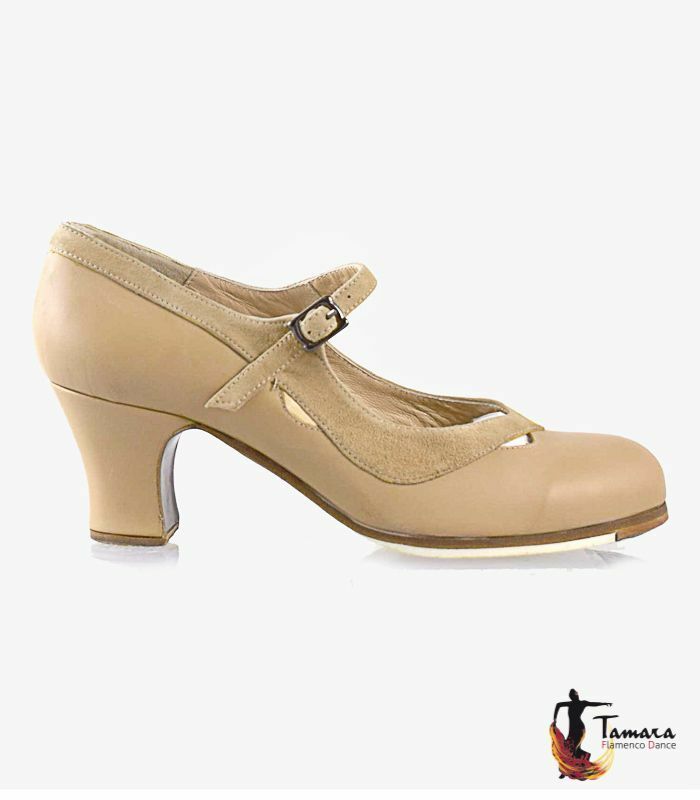 This makes this dance shoe more flexible without losing its support and firmness. 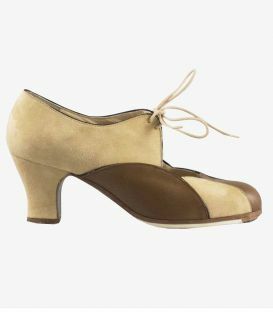 But it definitely gains in elegance, and if you choose a combination of colors that favor this originality, it will be even more stylish. 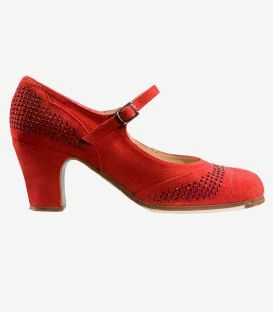 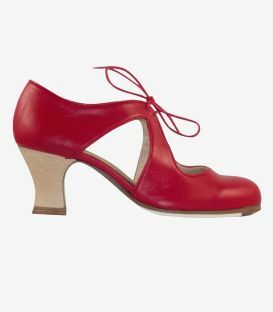 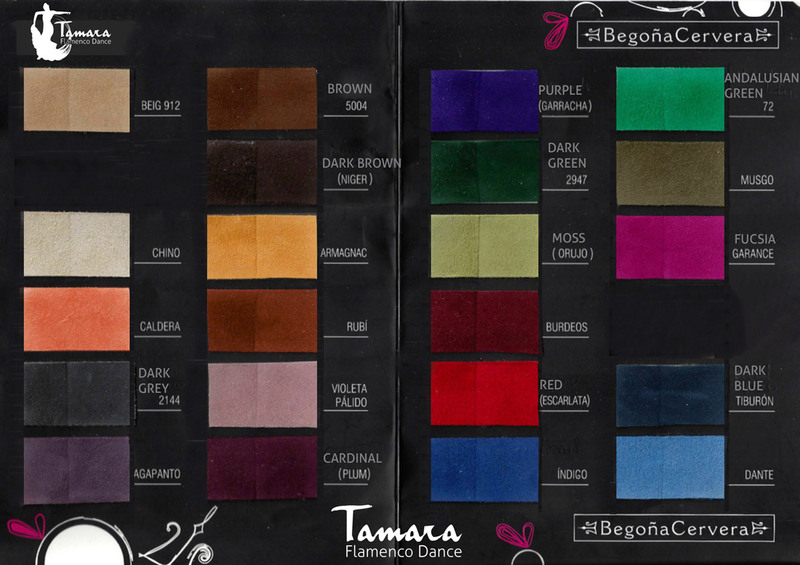 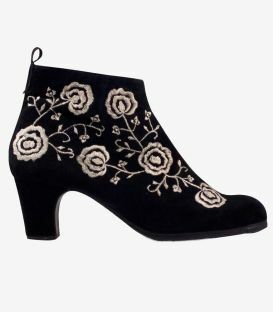 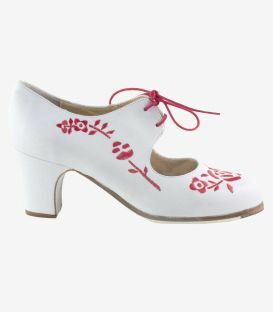 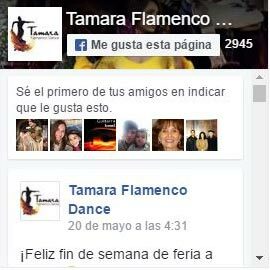 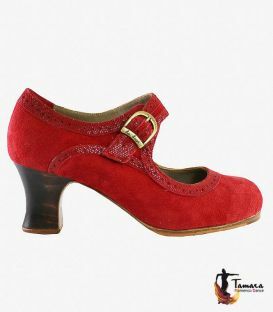 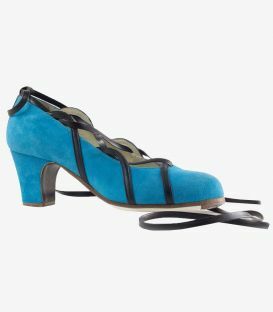 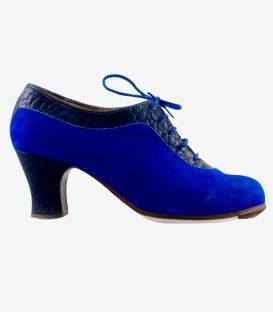 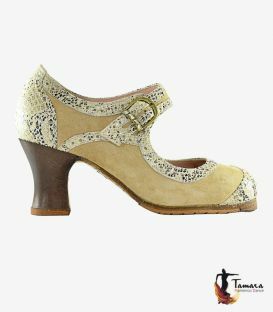 The choice of the flamenco heel is also very important and you can adapt it to your needs in every occasion so that you can boast it in flamenco shows.